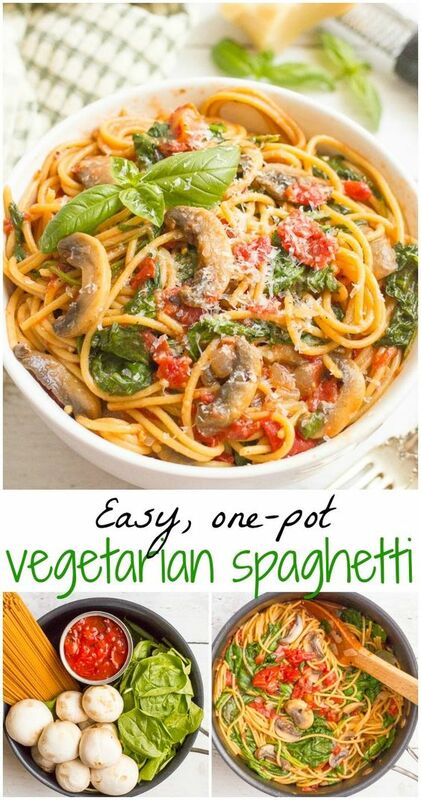 Vegetarian spaghetti with mushrooms and spinach makes an easy, healthy one-pot pasta dinner that’s ready in 25 minutes! Heat olive oil in a medium pot over medium heat. Add onion and mushrooms and saute for 5-7 minutes, until tender and the liquid from the mushrooms has been mostly cooked off.